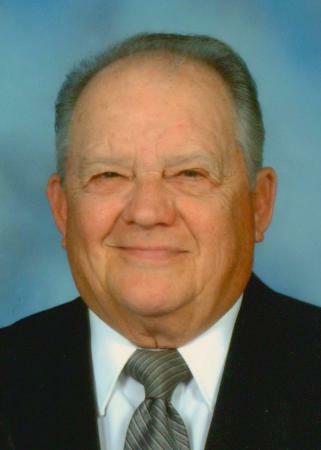 Dale Lyle Garrison, age 92, passed away on Sunday, April 21, 2019 at Park Villa Nursing Home, Clyde, Kansas. Dale was born February 6, 1927 to Glenn and Irma (Lantis) Garrison in Salina. Following high school graduation, he was drafted into the U.S. Army during WWII and was stationed in Wiesbaden, Germany as a typist for the War Crimes Commission. He married Ina Lee Courville on June 24, 1961 in Concordia. They were happily married for 57 years. He was a buyer for Boogaart Supply. Dale's favorite pastimes included reading, listening to Glenn Miller, playing cards and watching westerns. Life was even better when he could enjoy these things at the lake. His Lovewell Lake community was very important to him. He will be remembered for his love of campfires. In his retirement years he also enjoyed meeting up with his old army buddies as well as his friends from the grocery business. Dale was preceded in death by his parents and a sister, Barbara June Michal (Robert). He is survived by his wife, Ina, his four children, Tara Garrison, Wichita, Noel Garrison, Clyde, David (Stephanie) Garrison, Clyde, and Amy Hensler (Ben), Wichita, along with his seven grandchildren, Brock (Darci) Boling, Holstein, Iowa, Blake Boling, Wichita, Brennan Boling, Kansas City, Grayson and McKenzie Hensler, Wichita, Devin (John) Cornwell, Salina, and Colby Garrison, Clyde, and several nieces and nephews. He is also survived by four great grandsons, Graham, Nash and Knox Boling, Jack Michaletti. Visitation will be held on Saturday morning from 8:00 am until 10:30 service time on Saturday, April 27, 2019. Celebration of life service will be held 10:30 a.m., Saturday, April 27, 2019 at the Chaput-Buoy Funeral Home with Brock Boling officiating. Inurnment will follow in the St. Concordia Cemetery, Concordia. Memorial contributions may be given to Dale L. Garrison memorial fund to be decided at a later time c/o Chaput-Buoy Funeral Home.